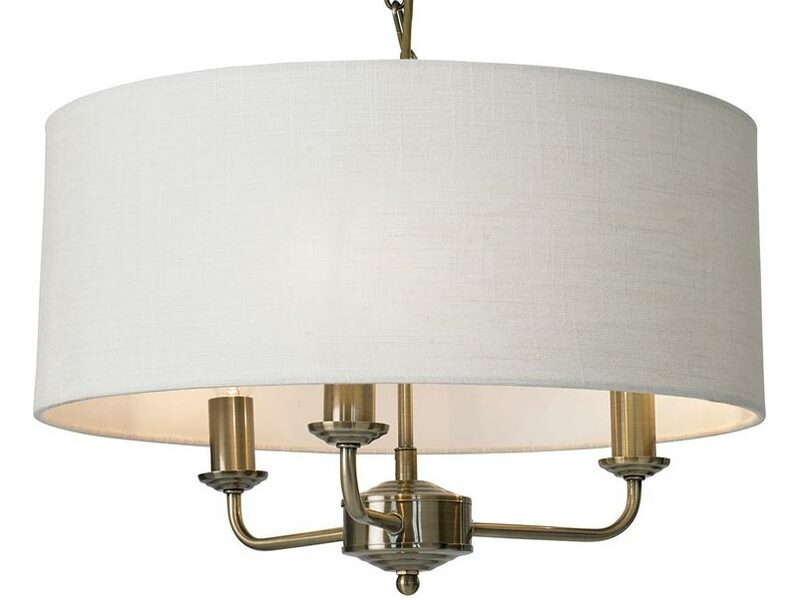 This Grantham 3 arm candelabra style pendant ceiling light in antique brass finish with white shade is classic, stylish and bright. 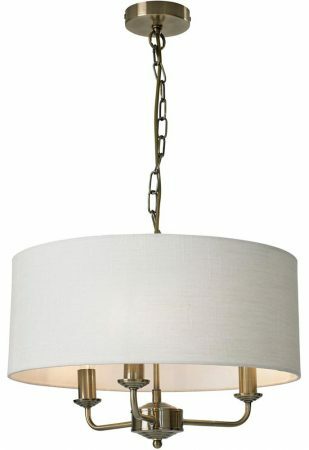 Featuring a circular ceiling mount, chain suspension and candelabra style chandelier contained within a 18″ slubbed white cotton drum shade. The three arms feature candle style lights, with metal candle pans and matching finish candle tubes. A lovely traditional candelabra ceiling light with a modern edge. The candelabra style and white cotton shade are right on trend, making it suitable for more contemporary settings. Perfect for any hallway, landing, bedroom, dining room or living room ceiling. Height adjustable at the time of installation by removing chain links to achieve the perfect drop, please see below for dimensions. There are matching fittings available in the Grantham antique brass finish lighting range that includes a six light pendant and floor and table lamps; please see below.